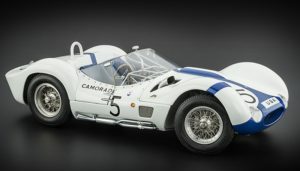 With Maserati approaching its 90th year in their illustrious racing history, CMC has decided to replicate one of its most famous race cars, the Maserati 250 F. The Maserati 250F was introduced to the world in 1955 when Juan Manuel Fangio drove it to victory in the Argentinean Grand Prix. 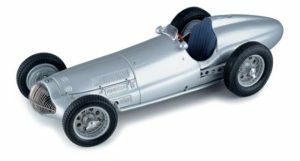 This was one of two victories by Fangio driving the 250F. 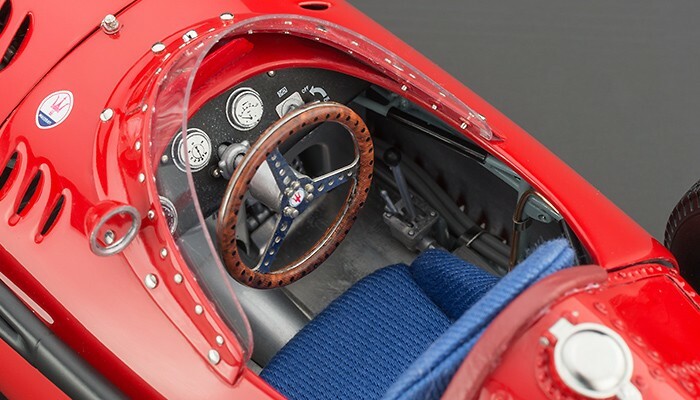 Yet it was during the Grand Prix season of 1957 that the Maserati 250F earned its legendary status. 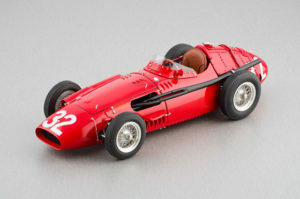 The 1957 season would go down as the most successful racing season in the history of Maserati and for the Maserati 250F. 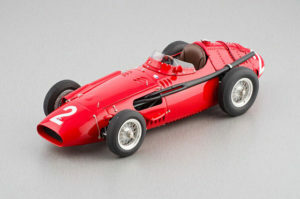 Stirling Moss has been quoted as saying that the Maserati 250F was the best monoposto he has ever raced. 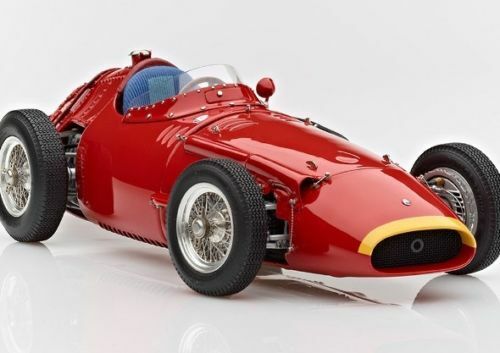 In total, the 250F competed in 46 Formula One championship races with 277 entries, leading to eight wins. 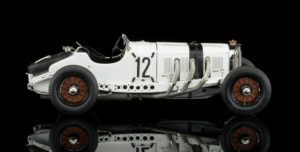 Success was not limited to World Championship events with 250F drivers winning many non-championship races around the world. 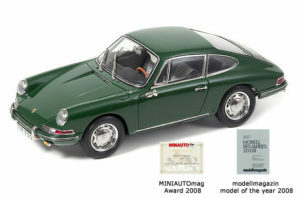 The full metal model is made of 1,387 individual, hand mounted parts. 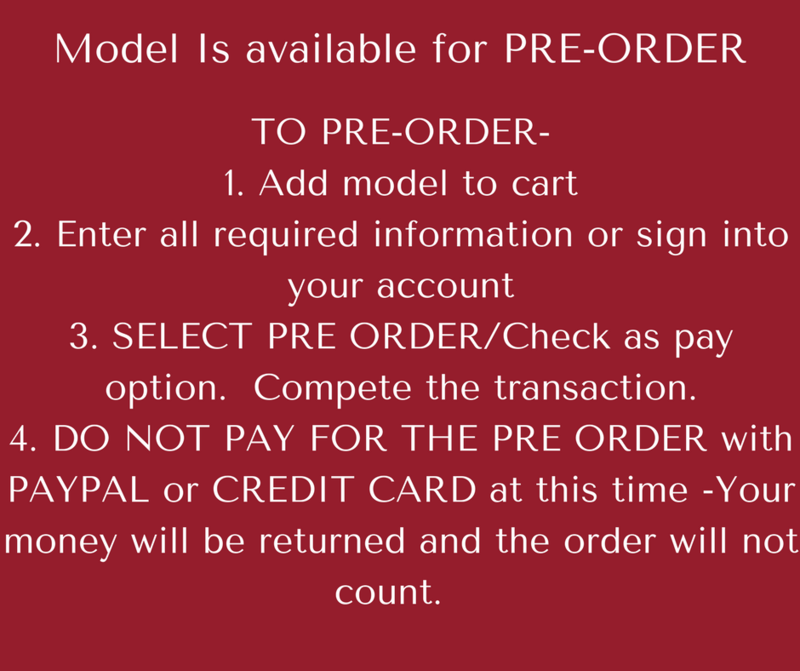 We’ve focused our attention not only on the body but also the inner workings of the model. 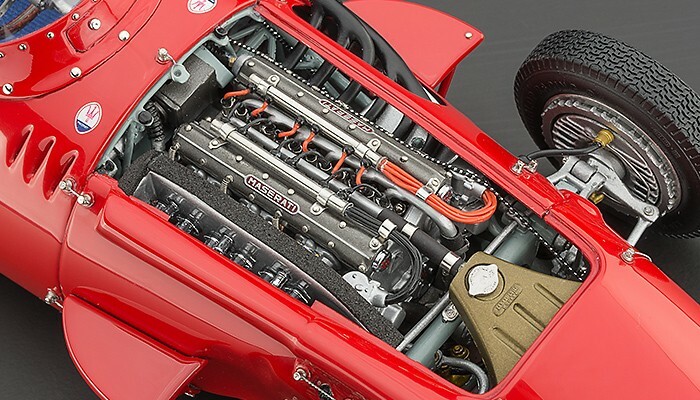 The engine and internal components were built with the highest possible level of details. 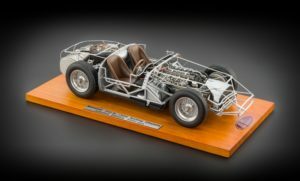 The CMC Maserati 250F model was built the same way as the original car.